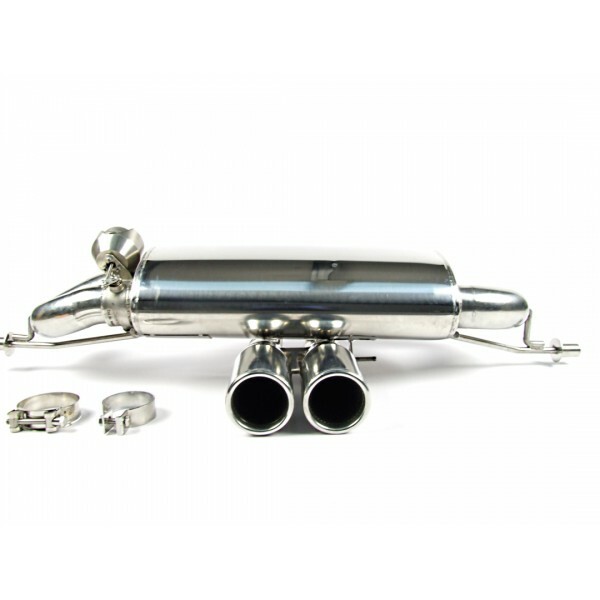 Switchable stainless steel sports exhaust for V6 powered Exige and Evora models. 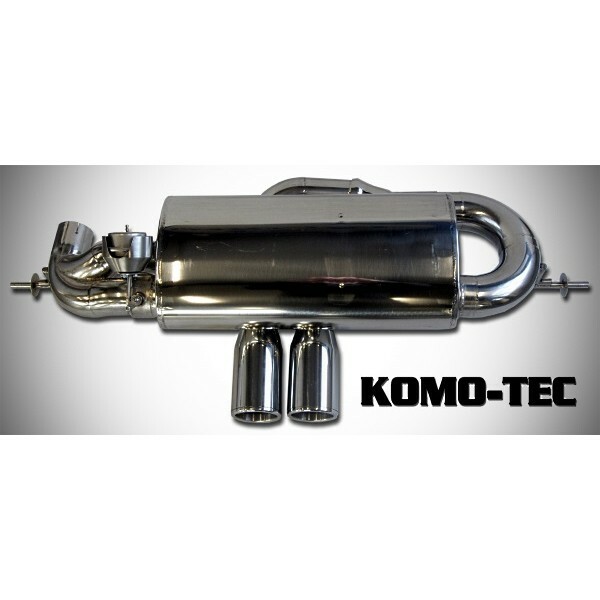 High quality stainless steel switchable exhaust silencer for V6 powered Exige and Evora models. With a 70mm primary tube diameter, the silencer is less restrictive, achieves a sporty and crisp sound, whilst weighing less than the OEM part. Less weight than the OEM exhaust - 13.2kg vs 15.9kg standard. Notable difference in sound between the exhaust flap open and closed, to allow quiet running when desired. No power loss between the exhaust flap open and closed. During testing on the dyno we found that some products on the market have significant differences in power output with the flap in the open or closed position. 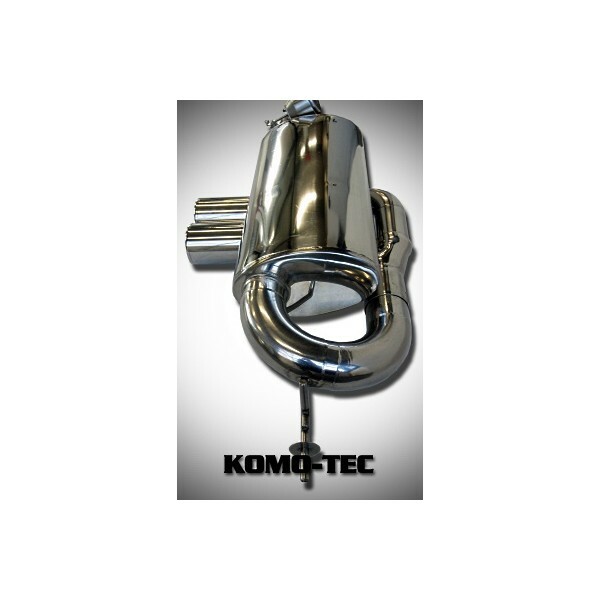 Our system is proven to produce the same power whether the valve is open OR closed. The silencer is a direct replacement for the OEM standard part, and the original switch control for the exhaust continues to work as normal. 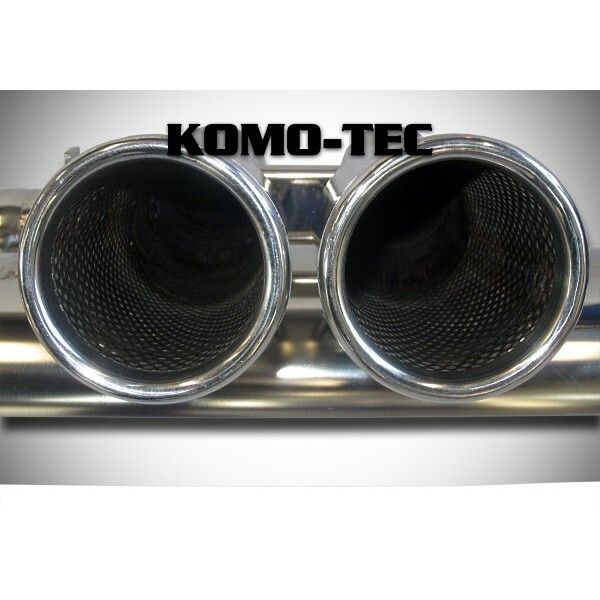 The twin round tailpipes have a diameter of 85mm, and perforated internals. 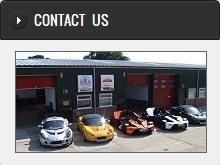 Exhaust clamps supplied may differ based on availability.